Yes, those are American insignia on the wings. Clearly inspired by the famed Fokker Dr.I Triplane. Fast and well-designed, setting speed records. Set altitude records as well! Too late for the Great War, however. Is it a Curtiss 18-T Wasp? Tail reminds me of a Curtiss Jenny, so I gotta go with an experimental Curtiss plane? No, this is NOT NOT NOT a Curtiss 18-T Wasp, though that’s a pretty good guess. Oops! Got it wrong. Is it a Curtiss Model S-3? 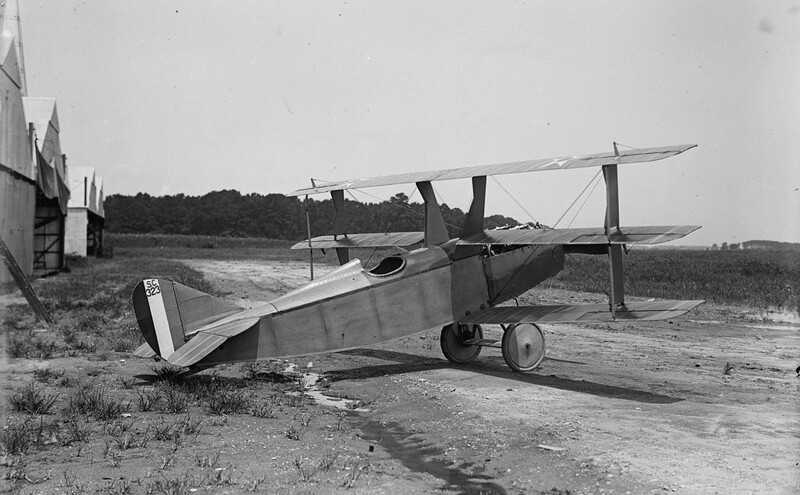 OK, OK, a Curtiss Model S-3 Model 10. It’s a Curtis S-3 (Model 10). Four were delivered to the US Army in 1917 with serial numbers S322 to S325. So this would appear to the be the second aeroplane of the production batch. Probably an S.3 (model 10).